nationwide. 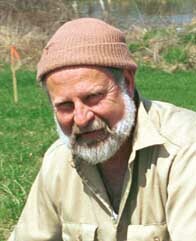 Overall, he has been responsible for over 300 site investigations and has written many papers about shallow geologic problems. Mr. Glaccum holds a BS in Chemistry/Geology and a MS degree and PhD credits in marine geology & geophysics from the Rosenstiel School of Marine and Atmospheric Sciences at the University of Miami.